Set in the mid-Eighties, 'Starter For Ten' is a romantic comedy about a working-class kid, struggling to make his way in the rarified world of an Upper-class British University. On his way to achieving his long-held ambition to appear on the British TV Quiz Show, University Challenge, he falls in love with his beautiful teammate and forms a plan to win her heart through his advanced general knowledge skills. 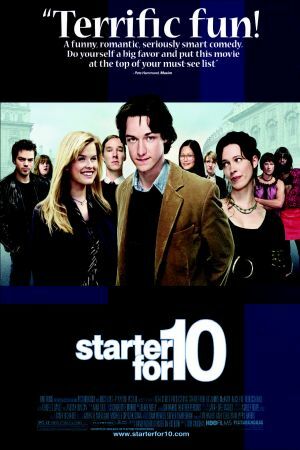 'Starter For Ten' is a bitter-sweet comedy about loyalty, class, falling in love and the difference between knowledge and wisdom.